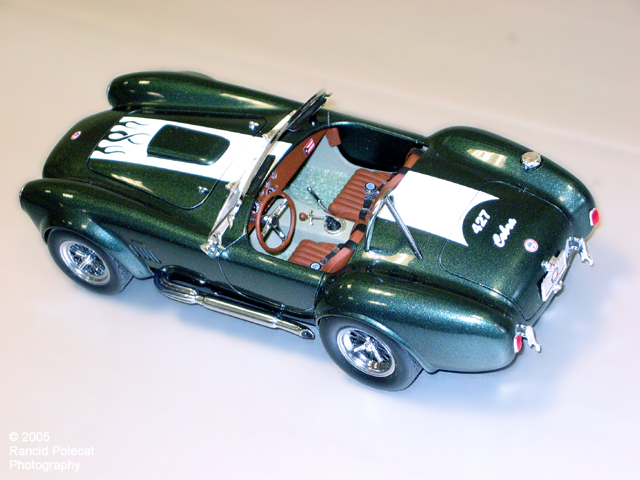 Cruz built this model mostly from the box of Revell-Monogram's latest reisue. He stripped all of the chrome parts you see on this model and painted them with ALCLAD-II. That includes the wheels, sidepipes, and roll bar. He further paint detailed the wheels with Testors Metallizer.